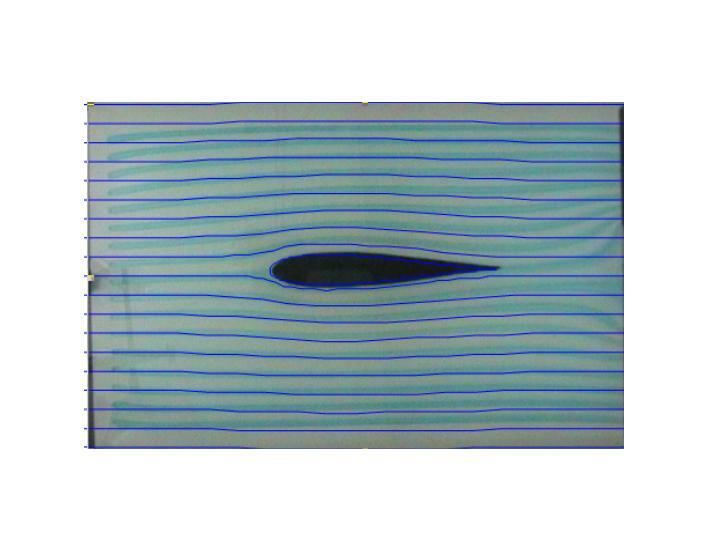 In this project, students used the Hele-Shaw apparatus to perform experiments of flow around a cylinder and flow around an airfoil at various angles of attack. The experimental data was then analyzed and compared with theoretical predictions. 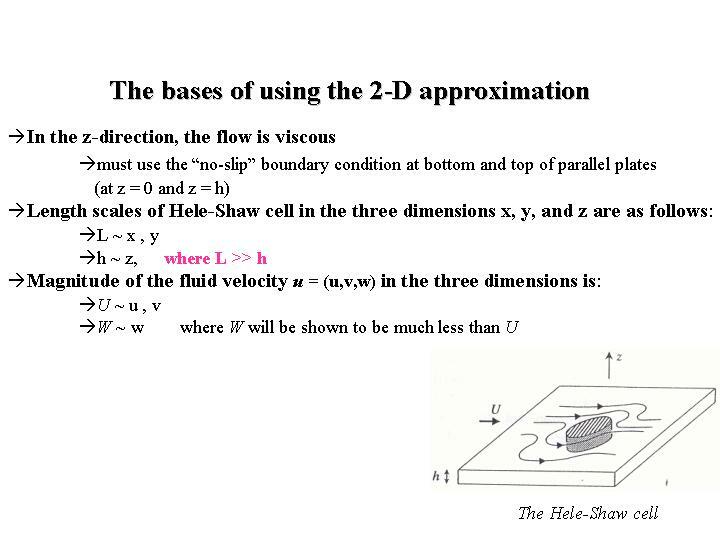 Theoretical results were obtained by first reducing the full, three-dimensional Navier-Stokes equations to the appropriate 2D form using the basic physics of the problem and scaling arguments, as indicated below. The 2D equations were solved using a potential flow formulation and conformal mapping in the complex plane. This allowed the students to find the complete velocity fields for the cylinder and airfoil problems, and also to compute streamlines passing through any given point in the experimental domain. After processing the experimental data to obtain digitized streamlines, the students were able to directly compare the above theoretical results with the experimental data. 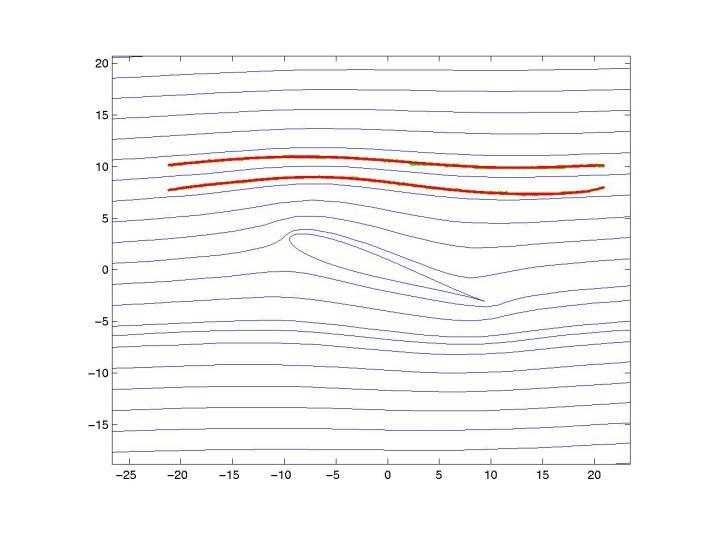 Comparisons for the airfoil are shown below, where theoretical streamlines are overlayed on the raw experimental data for 0 degrees angle of attack, and two digitized streamlines are overlayed on the theoretical ones for 20 degrees angle of attack.